Volkswagen has showcased the Tiguan Allspace at the Geneva Motor Show. 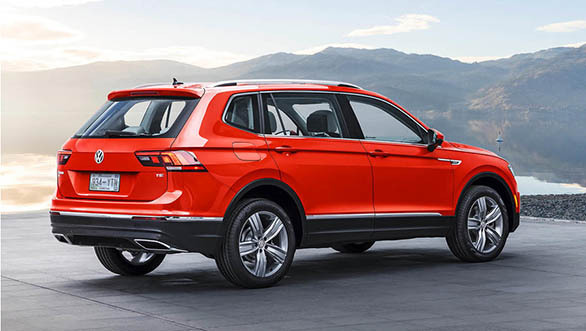 The Allspace is a long-wheelbase 7-seat version of the standard Tiguan which is on sale in the international markets. 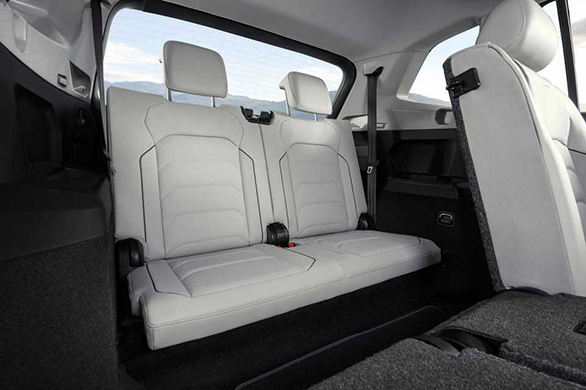 According to Volkswagen, the Tiguan Allspace will now be able to accommodate an extra row of seats or an additional 115 litres of boot space as it is 215mm longer than the standard Tiguan, with an increase of 110mm in wheelbase. The Volkswagen Tiguan Allspace looks almost similar to the Tiguan with small changes being made just to the bonnet and the front grille. The Volkswagen Tiguan Allspace is powered by one diesel and two petrol engines. The 1.4-litre turbo-petrol motor puts out 150PS, whereas the 2.0-litre turbo-petrol comes in two states of tune  180PS and 219PS. 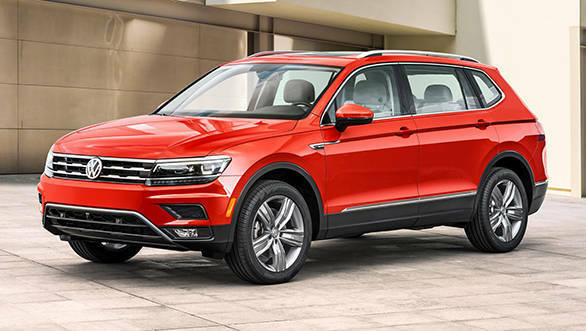 The diesel variants of the Volkswagen Tiguan Allspace use a 2.0-litre motor that can be optioned with a power output of 150PS, 180PS or 239PS. The 1.4-litre petrol engine will be available only with front-wheel drive, whereas the 2.0-litre petrol gets AWD as standard. The diesel motors making 180PS and 239PS get AWD as standard, whereas the 150PS variant gets AWD as an optional. Volkswagen had displayed the standard Tiguan at the 2016 Indian Auto Expo. It has been testing the SUV on Indian soil and we even drove the car last year. In India, the Volkswagen Tiguan will be equipped with a 2.0-litre turbo-diesel motor producing 177PS and 350Nm. While we're not sure about the Allspace variant making its way to India, Volkswagen will be launching the standard Tiguan here in the first quarter of 2017.